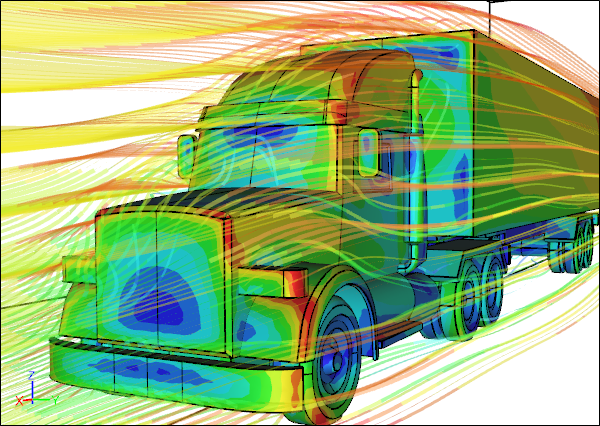 Integra Engineering > BLOG > Engineering > CFD? XYZ? Hmmm…what’s the most interesting… If I see XYZ, to me, it means “insert here” …or I can’t remember a name/place or one of the other million things swimming in my head at any given moment. However, CFD (computational fluid dynamics) makes me think of race cars, wind tunnels, thermal engineering, CAD, and so many more things as I go down the rabbit hole. It’s so cool to think by using CFD to simulate the air flow around a racing car, and the waterflow through a heating system engineers can determine flow qualities for better design! I wish the same ability that CFD provides… understanding lift, drag, pressure loss, etc. could be used on humans (of course not in the literal sense). For example, if someone came with a sign on their head that said “Drag”, then I wouldn’t have to invest wasted time in getting to know them, or I could improve their design 😊. On a serious note, I wish we could clone our top CFD Engineers! Integra Engineer Search has had conducted several recent searches for these positions in NY, AL, CA, IL, OH, NC, MI, and WI. The clients we serve are not only role models to competitors in their industry but they are picky and only looking for the top 10% of passive talent that can make a strong intellectual contribution. Our latest search within the aerospace division allowed us to open up to entry level candidates with advanced degrees (MS, PhD) with a focus in computational fluid dynamics. This was an interesting search based upon the sheer number of passive candidates our engineering team had to do in-depth interviews with to make sure they could demonstrate applying CFD methods to real world problems. Did anyone see steam rising from our NC headquarters? There is no greater joy than our teams doing their end of business download on engineering talent and sharing specific tangibles and intangibles (which are of upmost importance) as they choose the top two candidates to package and submit to companies! Today, one of our team leads embarked on yet another senior CFD search for passive talent! We’ve seen many career wounds that make engineers want to leave their current position. Normally there is no room for growth in their current company, budget constraints to properly complete their projects, lack of training or no continuing education opportunities within their specialty! We seldom see our CFD engineers wanting to make a move for higher compensation, most companies know they have to be competitive in these positions, however, that doesn’t mean there aren’t outliers. That being said, we are ready to find yet another CFD engineer that can make an instant contribution to a company who is an industry role model! Someone that will participate in the design and development of new product concepts and complex engineering projects. A person that thrives on concept, design, development and feasibility studies. A CFD engineer that has true passion to lead, work with the latest and greatest technological advancements, and dreams of design concepts. We love our career at Integra Engineering, every day brings new rewards and challenges, but we have the silver bullet!